Fall has come: It’s time for apple picking! The crazy, fun summer has gone, and now it’s fall. As the air gets cooler, you might feel that fewer outdoor activities are offered in the community. This calm, quieter atmosphere may encourage you to sit and relax, instead of running around. And not to mention, there are just so many yummy foods and treats in the fall, including Halloween candies! But fall is also a great season for fun fitness activities and healthy eating. Apple picking is one of the great ways to have fun with your family while staying healthy! 1. Fitness value of visiting orchards. Apple picking has tremendous fitness value. You may be surprised by how many steps you take while walking around an orchard. Your child’s little legs and arms will get more than enough exercise by the motion of picking apples and running through the endless trees in the orchard. And a lot of orchards offer activities other than apple picking that keep children engaged and active! 2. Nutrition value of apples. Think about what you are picking here – it’s not candy picking, but it’s “apple” picking! As “an apple a day keeps the doctor away” suggests, apples are very rich in antioxidants, fiber, vitamins and minerals. These nutrients help lower blood sugar and cholesterol, fight diseases, and build stronger bones. Eating apples also strengthens teeth and helps maintain good oral health (it does not replace brushing teeth, though). If possible, keep the skin on your apples when you eat them, as the skin is actually the most nutritious part of apples. You can reduce your exposure to pesticides by picking organic apples or washing your apples really well (though washing will not remove all pesticides). 3. Apple picking health benefits continue even after going home. After you go home with the tons of apples that you picked, now it’s time to cook them. There are so many different kinds of dishes and desserts you can make with apples. Even if you are making sweet treats, it’s often healthier than buying them in stores, as you can control the amount of sugar and fat that goes into them. Cooking together also helps children learn more about food. Family cooking/baking projects are a great opportunity to develop positive social communication, learn about how to follow instructions, and work together with other people. Even very young children can help you cook by mashing, tearing, and mixing! 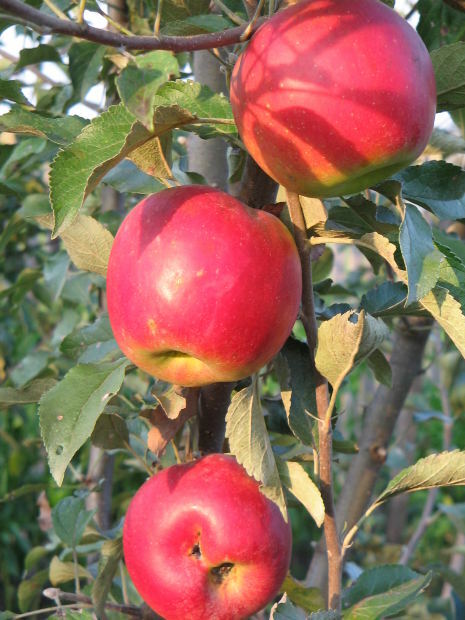 You can find apple orchards in Massachusetts by visiting http://www.mass.gov/agr/massgrown/apple_pyo.htm. Share your favorite recipes with apples here or at Tasty Tuesdays! Apple picking is a great way to spend a nice fall day outside with the family. Many apple picking farms offer other attractions as well to keep the kids entertained, like a petting zoo or a hay maze. ← Creative Confidence – Curiosity – Try Something New!